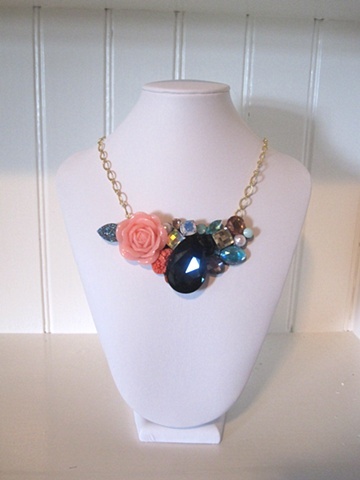 Rhinestone, blues and corals glisten together. Floral element pairs with a vintage glass pear to give this piece a botanical yet kitschy feel. One of a kind as always.